There’s nothing quite like rocking a family heirloom on your ring finger. We love rings with stories and sentiment attached as much as the next hopeless romantic, after all…but we also happen to think there’s a way to bring vintage pieces into the modern day—and make them what your partner dreams of—while still respecting the ring’s rich history. Today, then, we’re offering up our top tips for updating that storied stone you’ve been sitting on. Before turning that family heirloom into your partner’s dream ring, make sure you have permission. Even if the piece was explicitly given to you, the person who handed it over may have done so assuming you’d keep it as-is. 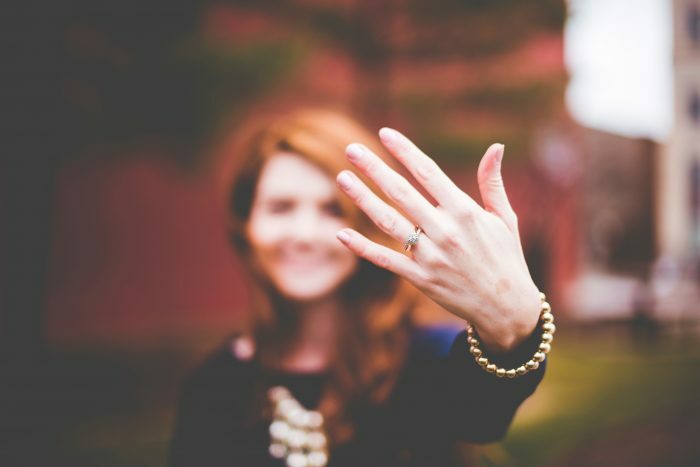 Your mom may have given you her grandmother’s ring years ago, knowing one day you’d propose to your soulmate with it—but does that mean she also gave you her permission to redesign it before popping the question? You’ll want to check before you start dreaming up your new design plan. 2. Know the ring’s history. It’s also important to familiarize yourself with the ring’s history before you begin, if at all possible. This will allow you to pick up important pieces of information that could be helpful in the redesign process—and it will also give you an idea of which elements (if any) should stay as-is. Whether it’s a faded engraving you would have never noticed on your own or a side stone that seems small but has big significance, learning the ring’s story can uncover some seriously important details. 3. Understand your options for upgrading the ring. You can upgrade or change the center stone: Changing out the center stone for something new is a great way to breathe some fresh air into a dated piece. Plus, it allows you the opportunity to choose your partner’s favorite diamond cut. You can have it cleaned and replated: Sometimes, all an old piece needs is a simple cleaning and replating to give it an entirely new look and feel. You can have it engraved: Engraving your family heirloom is a great way to update the piece while still keeping it in its true, original form. Think about the possibility of adding initials or wedding dates to the piece for everyone who’s been married with that particular ring. 4. Understand your options for incorporating parts of the ring into a new piece. 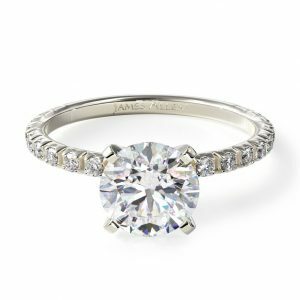 Use select stones from the original ring as accents in the new: Using existing stones from your family heirloom piece in a halo or as accent stones in a new ring is such a simple way to incorporate original elements while still getting to design your dream ring. 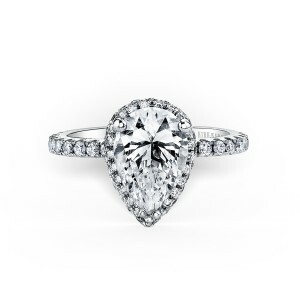 Feature the center stone from the original ring: Oftentimes, the center stone in a family heirloom ring is the element that has the most value and sentiment attached to it. 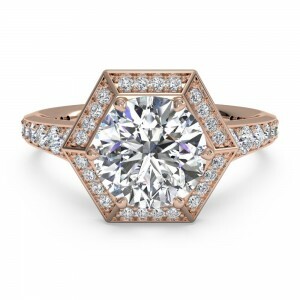 If you’ve got a stunning, storied center stone to work with, make it the star element in your new engagement ring design. Melt down the metal and have a new ring formed: If there’s not really much you love aesthetically about your heirloom piece, but you can’t quite bring yourself to completely break ties with it, we love the idea of melting the metal down and having it formed into something new. 5. Remember to keep the “leftovers”. We always recommend keeping any remaining stones and metal that are left over after your redesign. You never know how you might want to use them in the future. Incorporating leftover elements into a new piece of jewelry can make for a seriously swoon-worthy wedding anniversary gift, after all. Plus, other family members of yours may want to incorporate leftover metals and stones into a piece of their own. Now that you’ve got the ring redesign down, it’s probably time to start planning. Browse our top tips for planning the perfect proposal here!